This is a marriage of pieces that were assembled together as a decorative wall art piece. The vertical panel frame is antique, early 20th century, from just around 1920. The color lithograph illustration of a woman from the Edwardian period may be a period original that was cut out from an advertisement, or a printed reproduction. The eyelet lace textile was laid as a backing for mounting the color lithograph and the framing was completed at Michael's, a chain craft store with a framing department. The estimate is based on actual recent past recorded auction sales of comparables. Retail 'asking prices' can be higher and vary. 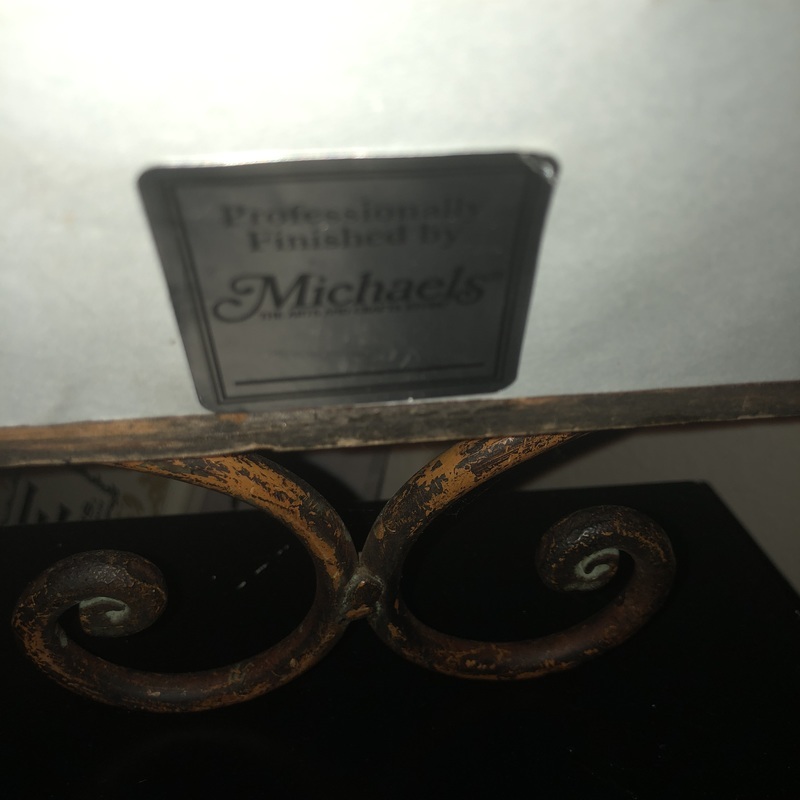 What are the dimensions of this and please add a more clear, in-focus image of the Michael's sticker on the backside. I just updated the pictures and added dimensions. Interesting to know. Thank you for sharing.